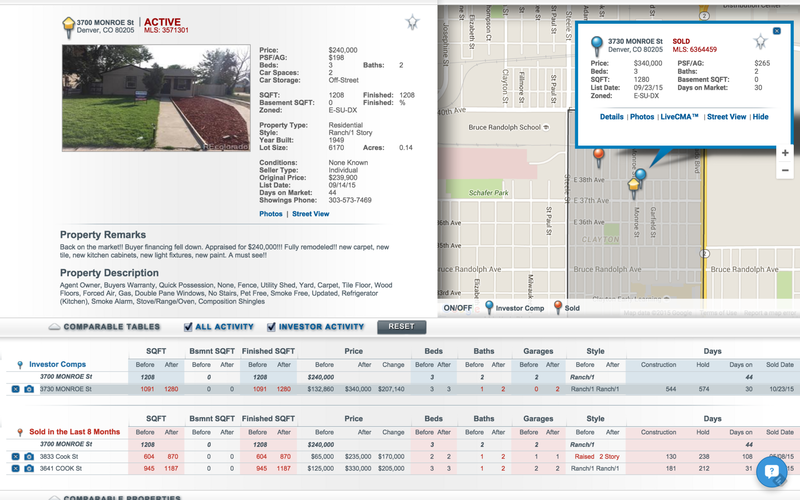 Privy is a property search and analysis tool for investment real estate. I do find that the interface needs work, but it is presenting a lot of information. This isn’t necessarily a tool that will teach agents how to work with investors. I consider it a tool for the experienced investor representative. This is straightforward real estate investing software. It’s not something for agents working with recently married couples looking for sunny breakfast nooks. The system searches specifically for properties priced well below nearby comps and presents users with all the data they need to at least go take a look. There’s a distinct advantage to seeing “before and after” shots of an investment property. 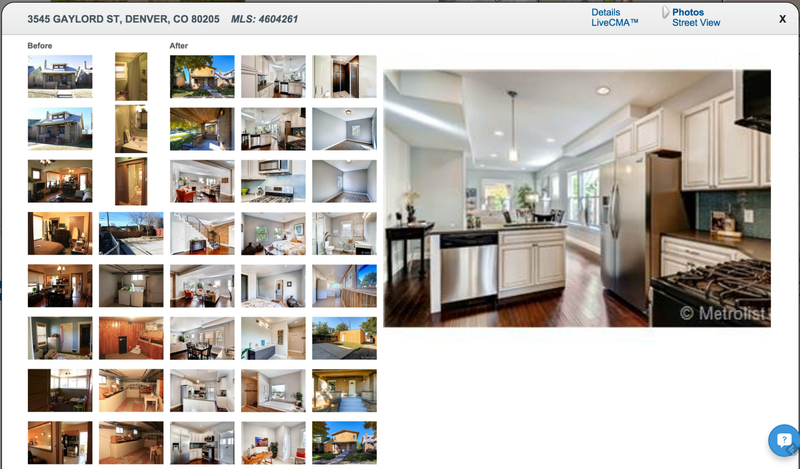 Privy neatly juxtaposes images of what comps look like when initially placed on the market with images of what it looks like after renovation, whether active or sold. This allows agents to share with their investor clients what kind of work it may take to earn that kind of return. Then, if history is any indicator, the investor will blow by that estimate to the tune of tens of thousands, insistent that the neighborhood of pre-war craftsman needs its first four-car garage. Privy also arranges list and sold prices in a way that allows browsers to quickly understand what the market will tolerate. The software returns property searches in three categories. Gold listings are considered flips. Silver are properties with varying opportunities, such as lot scrapes or with re-zoning potential. Bronze listings are for landlords. 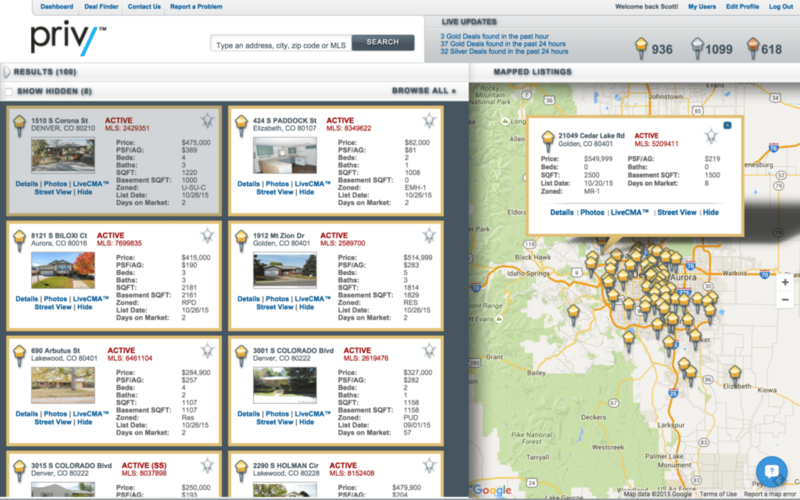 Users can add properties to a watch list, track which homes they’ve seen and properties on which they’ve offered. I don’t love the initial search dashboard, but looking at comps is a nice user experience. They’ve created a sequenced card view of prioritized results pinned next to a map overlay. It’s not unique, but it is easy to understand what’s being conveyed. Privy updates MLS data every 15 minutes, which is valuable to investors in tight markets, like Denver, where Privy is currently active. Investors can also use it in the DC Metro area. More market relationships are being formed. Privy can be a very useful way for agents to serve any active investors in their pipeline. They can send comp sheets to contacts straight from the system, and also include lenders and contractors. Investment property buying tends to be a more collaborative effort; there’s less emotion and secrecy involved. Investors tend to form long-term teams of agents and lenders and contractors who can come together to determine a property’s return potential. I envision Privy as a coffee table tool, a system around which such teams converse and analyze. You know, over coffee. Data tables are rich with info and various ways to consider the best plan for the property. The software’s developers have included a series of training videos to assist new users, as well as chat-based help. Investors without an agent can choose from a list of local agents Privy has assembled, which stems from agents who’ve opened an account. The system has no pay-for-play method of recommending agents; it uses a rotation approach, like a standard brokerage sales floor.